Have you ever seen a giant block of jelly, wobbly, jiggly and strong enough to stand on? Jelly and acrobatics are a wild combination. In the gooeyest kids’ show at the Auckland Arts Festival in March, playing with food is not only allowed, it’s encouraged. And if that food is jiggly, wiggly, red jelly…even better! Jelly or Jam is a fun-filled family show performed by award-winning husband and wife team, Jascha Boyce and Joren Dawson. 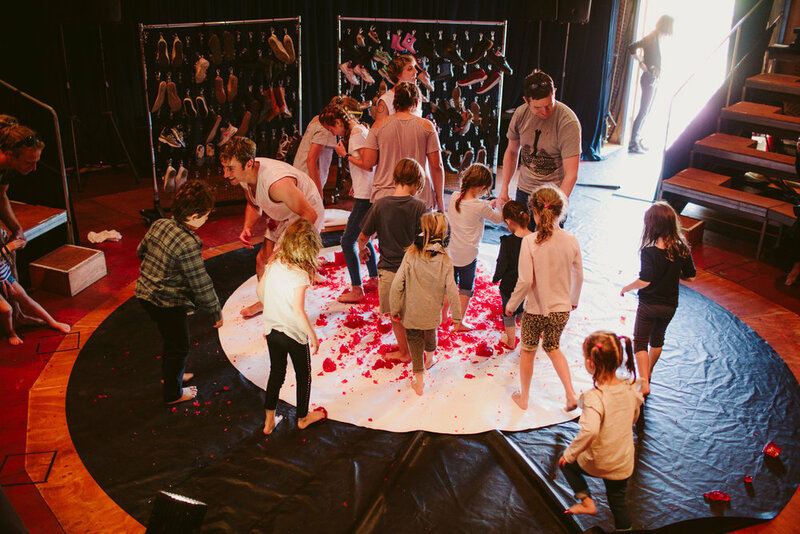 This brilliant piece of theatre for young people is filled with real stories about being a kid, while testing the physical limits of two giant blocks of jelly. 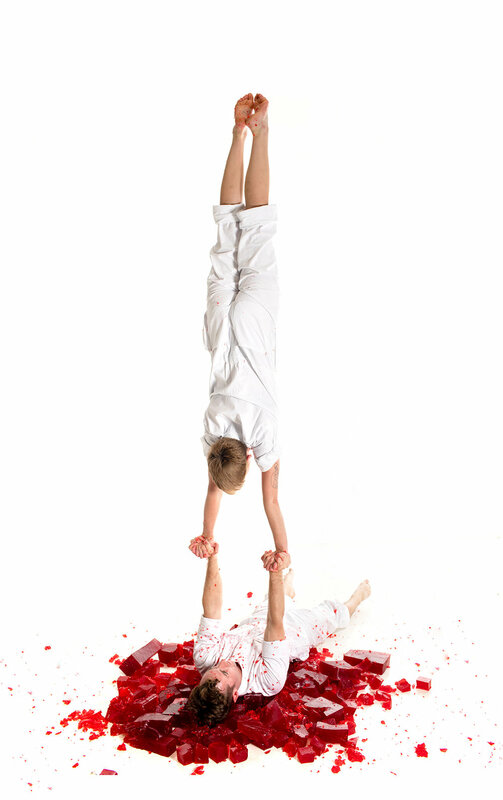 Boyce and Dawson are not afraid to ask the big questions about life and identity while mushing gelatinous mounds through their toes, juggling blobs of jiggly jelly and performing acrobatic feats which have thrilled young and old alike in previous seasons, including this year’s Adelaide Fringe. A morning of theatre that has been described by one parent as “G-rated jelly wrestling”, this 50-minute show is sure to be everyone’s jam. It plays two performances at the Speigeltent at Aotea Square on 16 and 17 March.